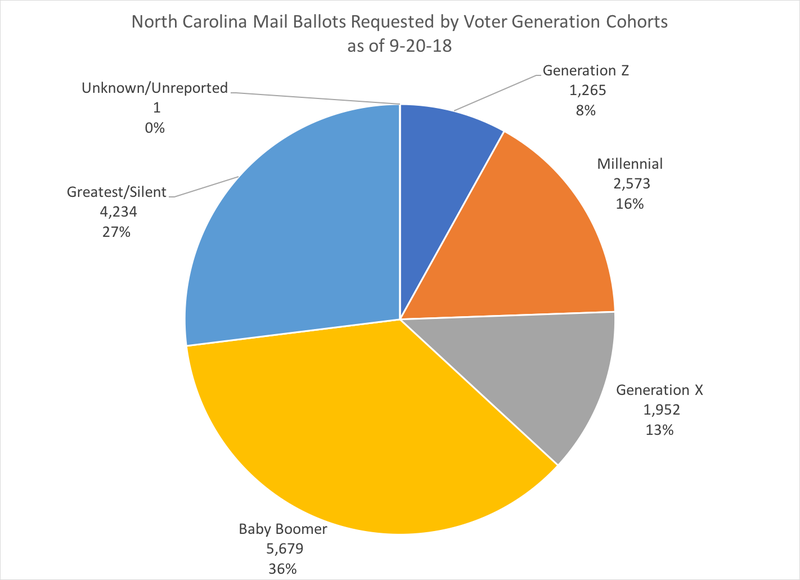 As North Carolina surveys the damage and continues to dry out from the aftermath of Hurricane Florence, voters are requesting and casting ballots already for the November 6 general election in the Old North State. 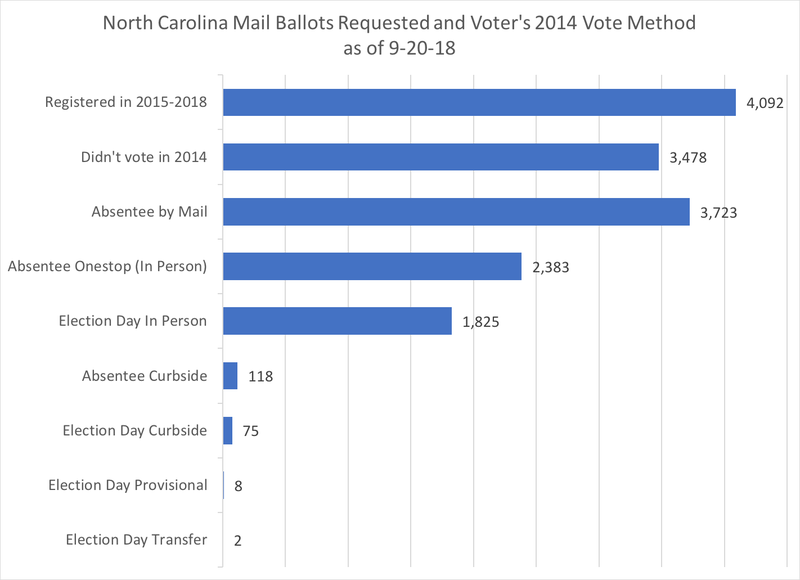 Here's a review of where the numbers stand regarding absentee by mail ballots, especially by requested, sent, and accepted ballots. Normally, in this method of voting, registered Republicans tend to dominate mail-in ballots, but even in the early trends, they are third with barely a quarter of the requested ballots so far. 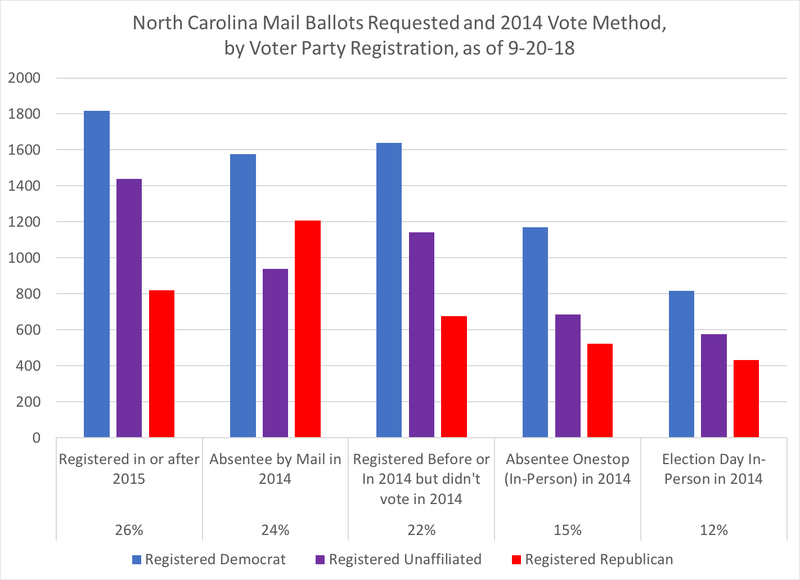 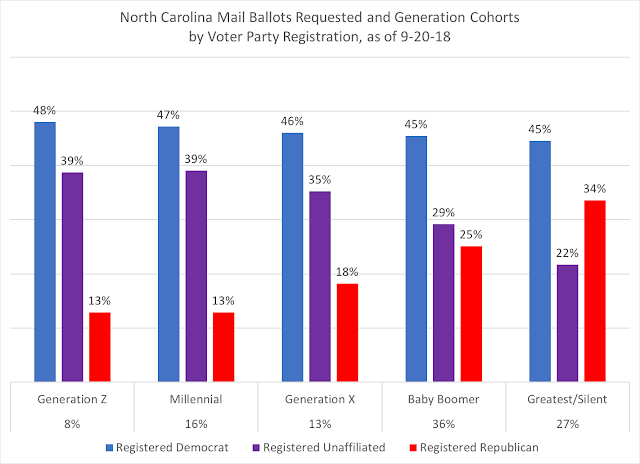 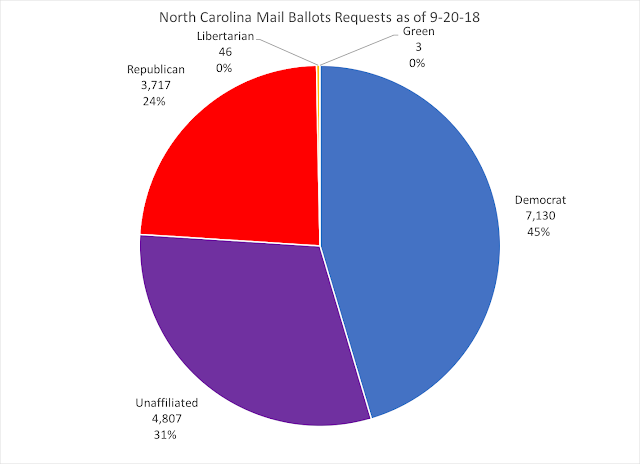 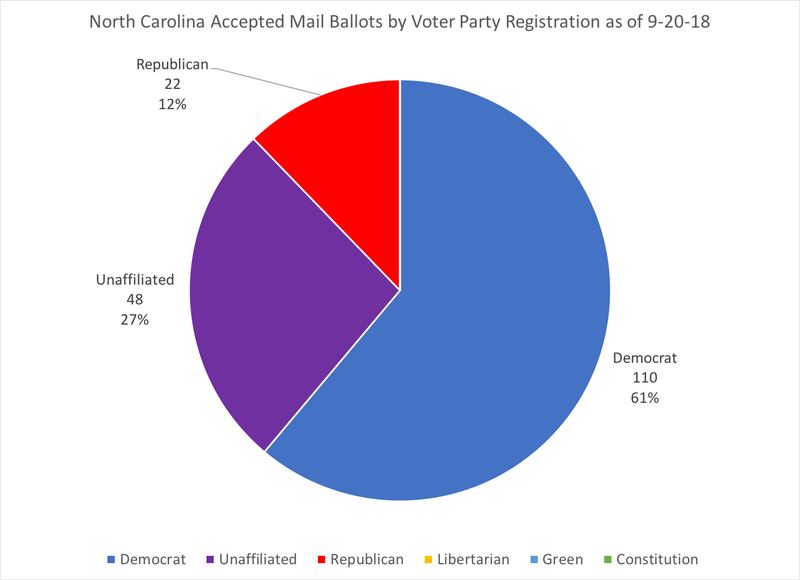 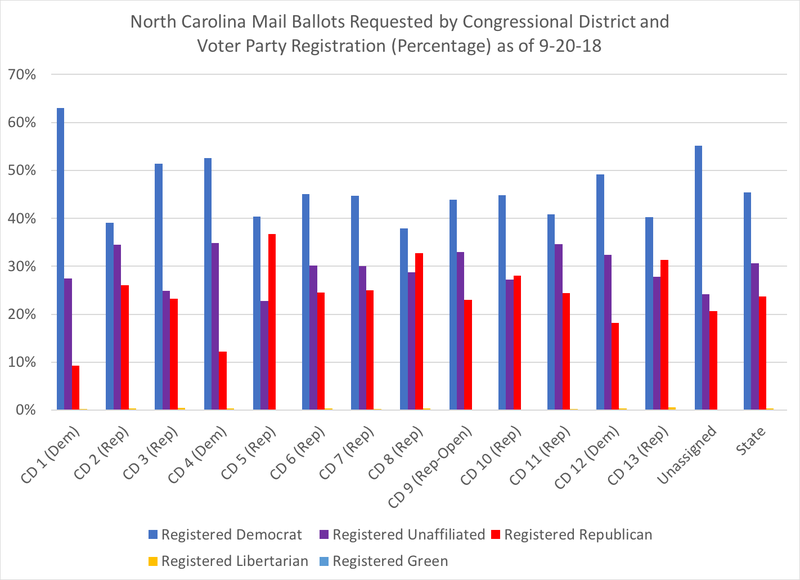 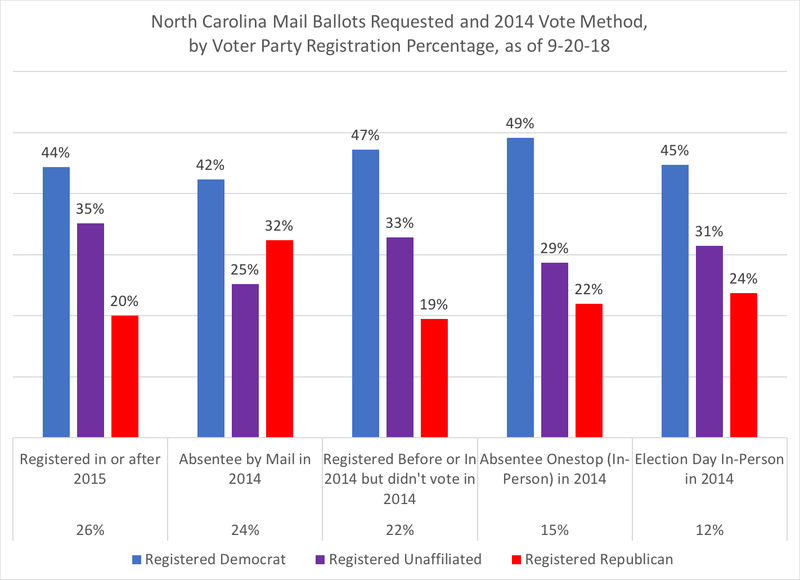 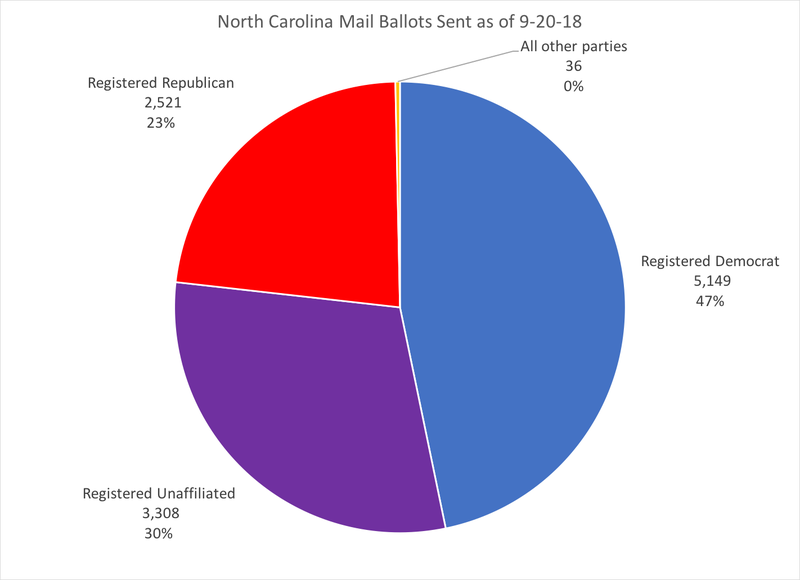 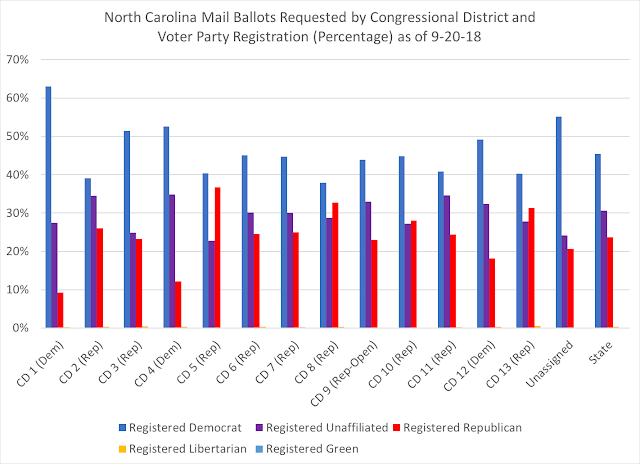 Typically, older voters make up the plurality of mail-in absentee ballots in North Carolina, and this holds true so far, with voters over the age of 54 at nearly two-thirds of the requested ballots. With over two in ten voters not voting in 2014 but having requested a mail ballot this year, it will be interesting to watch this dynamic over time, especially when in-person early voting begins in October. 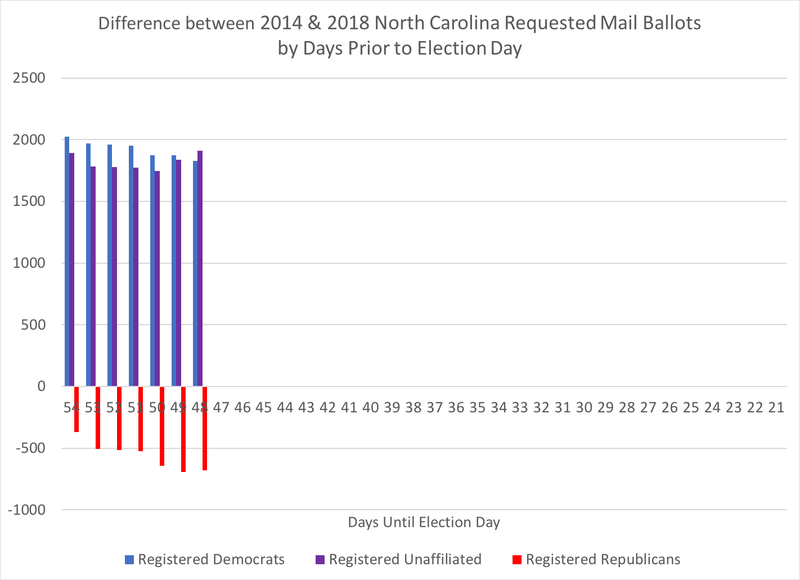 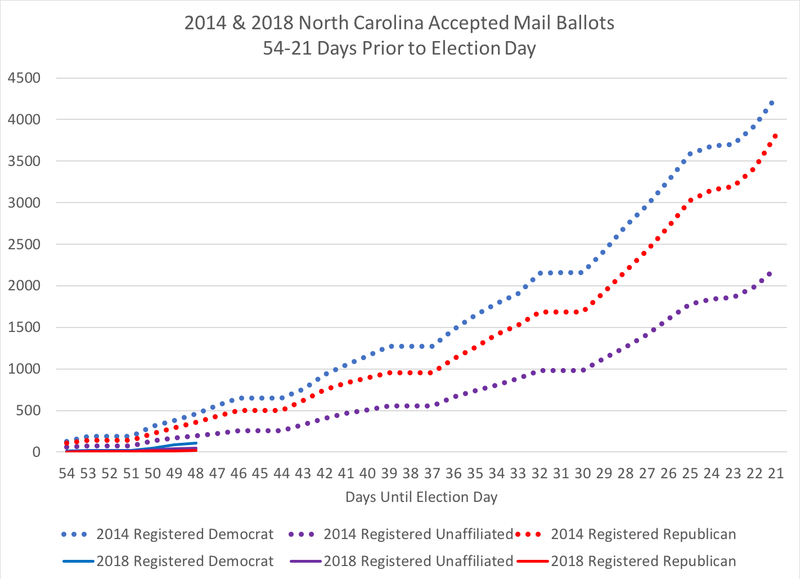 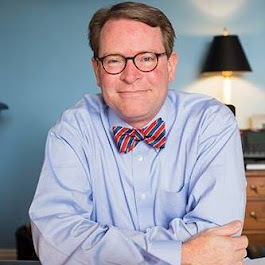 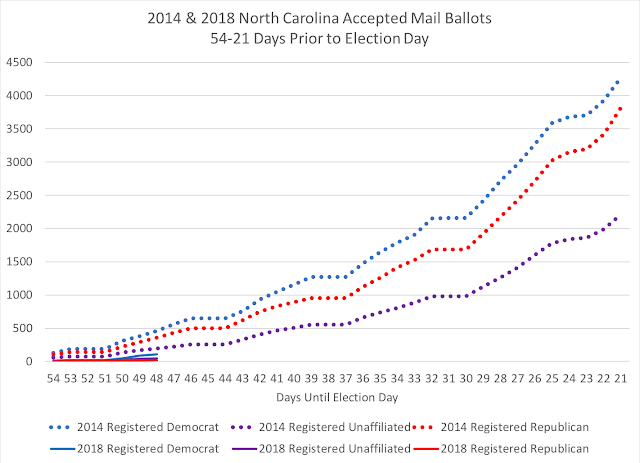 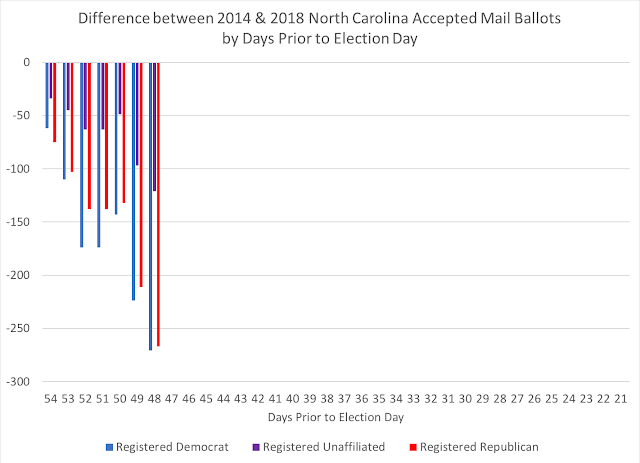 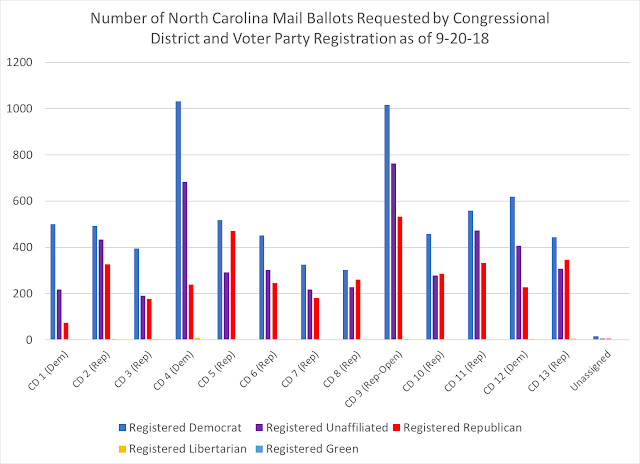 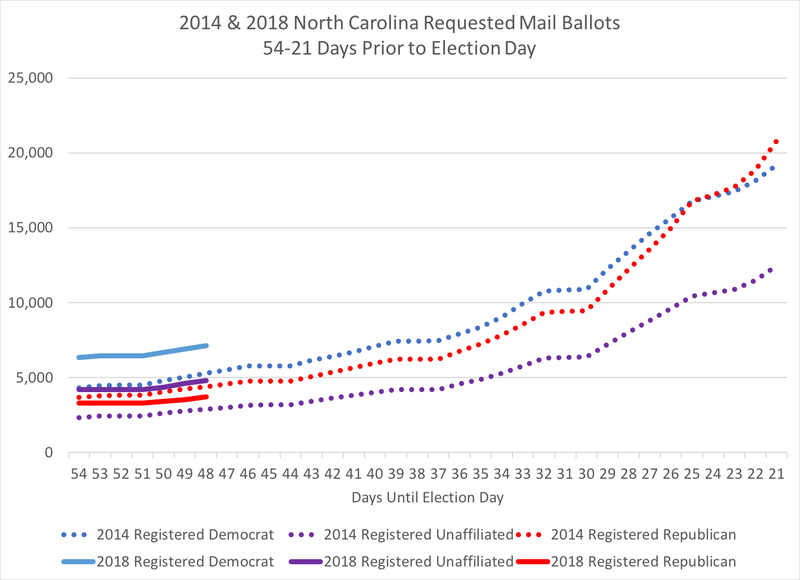 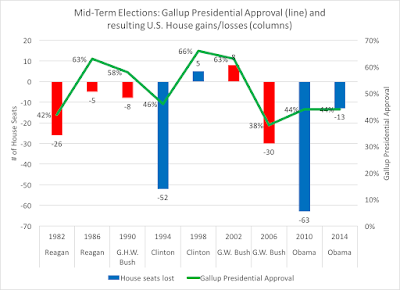 I'll be posting more graphs on my twitter handle (@OldNorthStPol or @BowTiePolitics) and will likely to a weekly update on Saturdays of mail ballots, with a daily update once in-person absentee voting begins.